Apple iPad 3 is the third generation of Apple’s popular tablet computer, the iPad. The iPad 3 (a.k.a the new iPad) offers some improvements over the Apple iPad 2 like 4G LTE for high speed internet, an advanced display that can handle full HD, an improved 5 megapixels camera, and a quad-core graphics processor for smooth performance. The Apple iPad 3 now moved closer to matching the iPhone with a brilliant display. It features a 9.7-inch Retina display with a resolution of 2048 x 1536 pixel (264 ppi) making it ready for full HD. The new display will make the new iPad great for viewing HD content and for gaming. The New Apple iPad also got a camera upgrade, now featuring a 5 megapixels camera with support for full 1080p video and autofocus. A VGA camera is provided for FaceTime (video calling). Apple iPad 3 comes with a quad-core A5X graphics processor, which Apple claims is four times faster than the Tegra 3 processor that is already generating a lot of buzz for its speed. The new chip will boost the graphics performance of the new iPad. Apple iPad 3 supports 4G LTE internet on some of its models (mostly United States models), which according to Apple will offer up to 10 times faster internet speed as current 3G. Apple iPad 3 is currently available in Nigeria. You can buy it at online stores in Nigeria like Jumia. 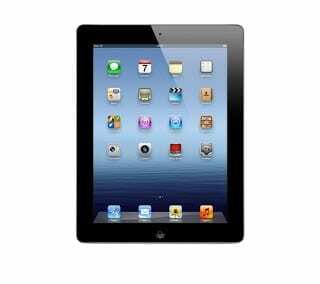 The price of the iPad Wi-Fi model starts at N95,000, while the 4G/3G model starts at a price of N108,000.